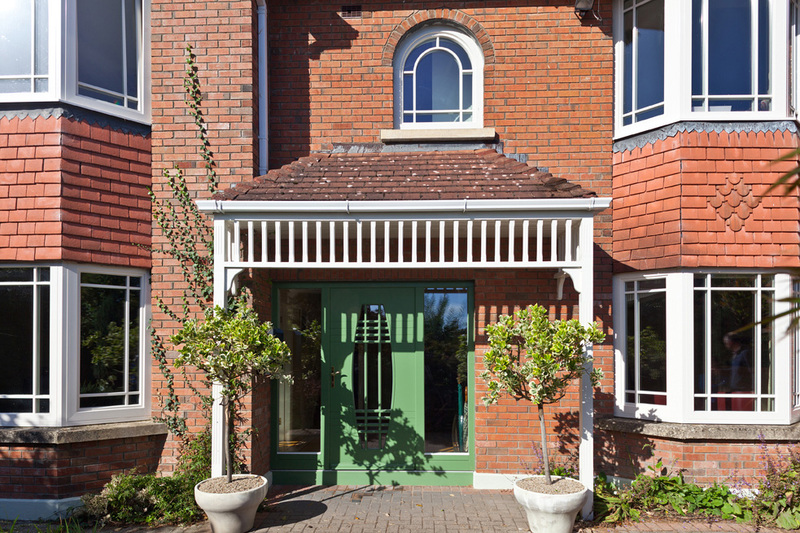 PVC windows did not provide the quality and design sought by the homeowners, who decided for a complete makeover of their family house by replacing the windows with aluminium clad wood tilt & turn units and a wood art-deco front door to add value and comfort to the rooms. 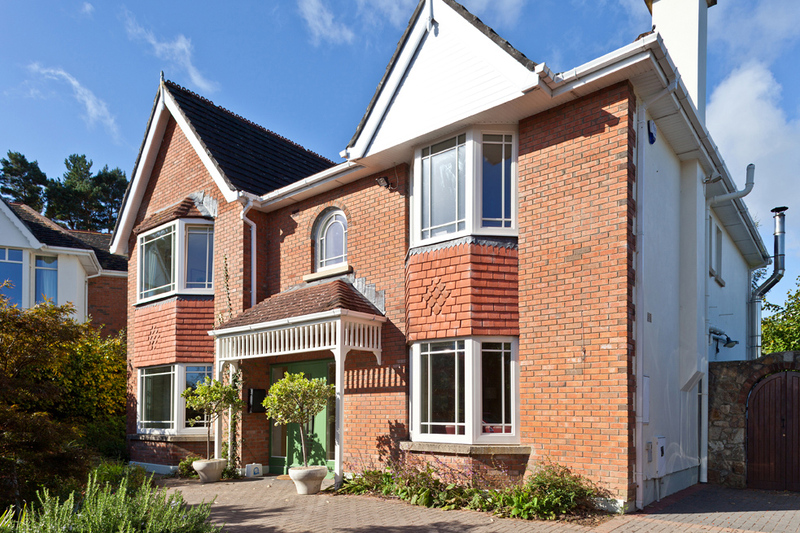 This family house has built approximately 20 years ago when the homeowners bought it. 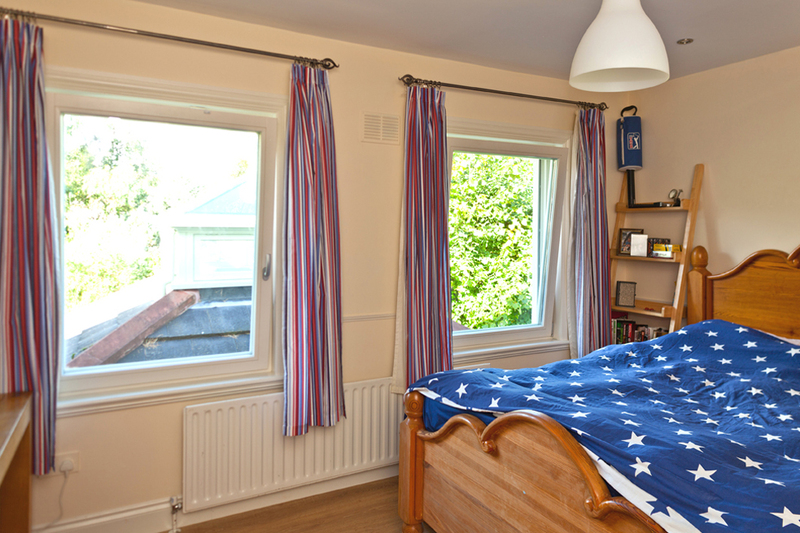 The original building had double glazed PVC windows, which soon became draughty and started to present problems with the seals, mould and condensation, making replacement the evident choice for the homeowners. 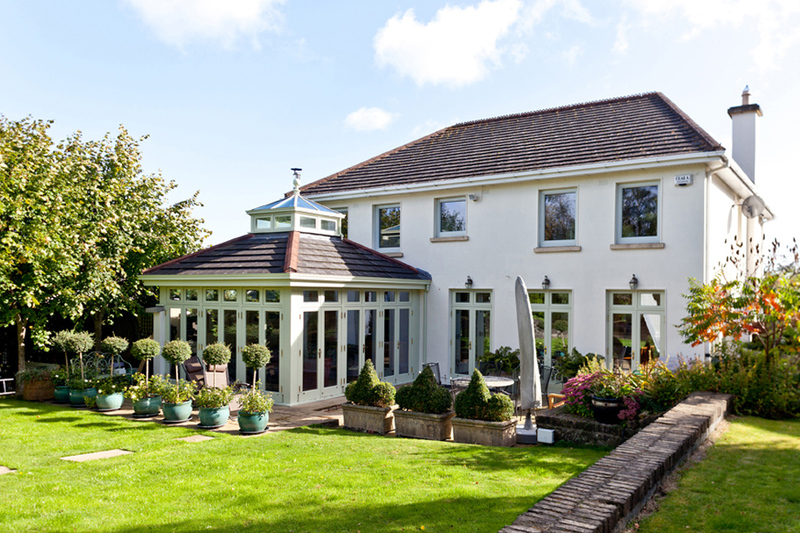 Although they wanted new, superior quality and aesthetically pleasing windows, they never rushed into changing the existing units and took their time in researching for the most suitable company to provide a comprehensive experience, from the highest quality and better value product to consultancy and fitting service in order to ensure that the project would not require future improvements. The front door of the house leads to a wide hall filled with warm colours. 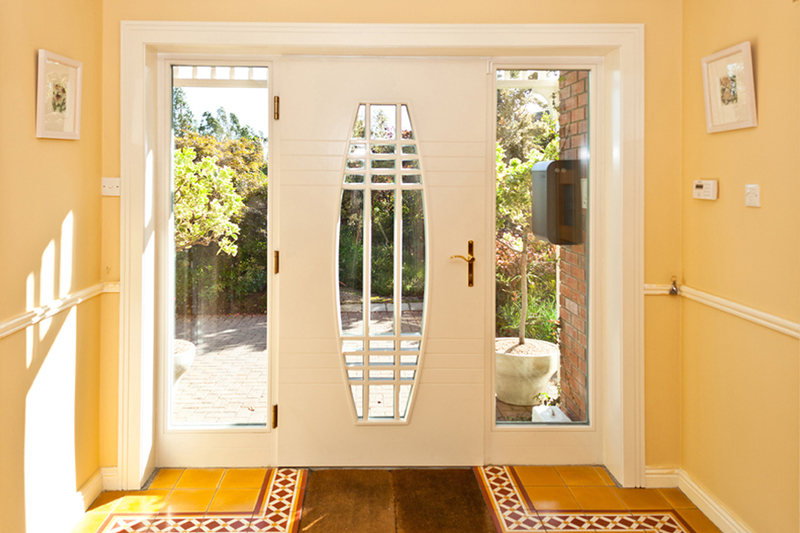 As an art-deco lover, the homeowner found a perfect front door combination to the hall decoration in the Signature’s entrance doors catalogue. 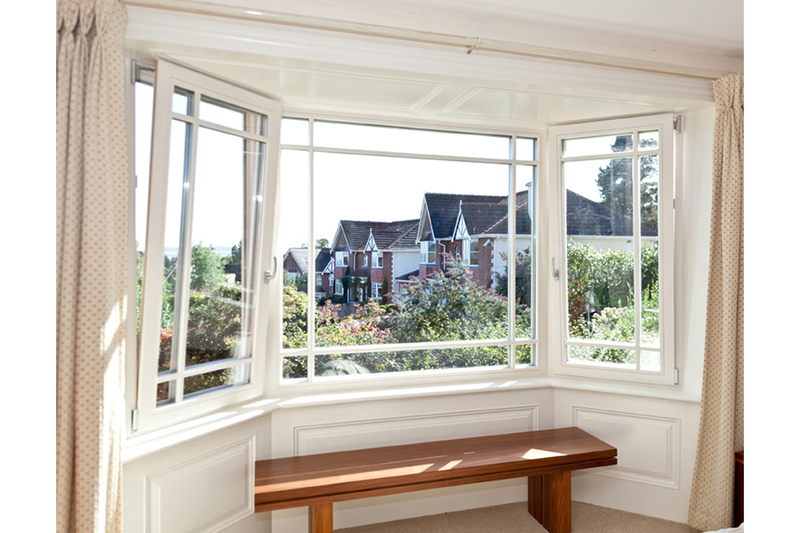 The feature window and the internal colours in the music room worked very well to make a statement of the importance of the art-deco feeling to the house. 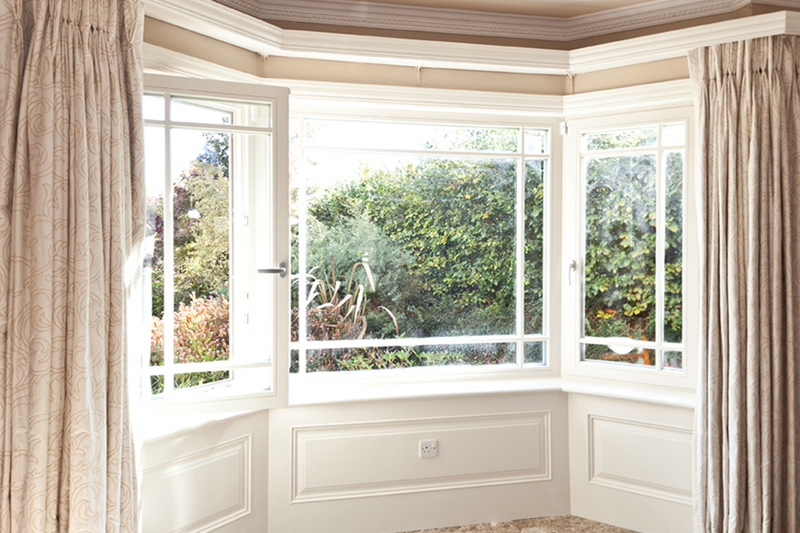 The existing windows in the living room had a Georgian style, which did not create the appropriate visual effect. 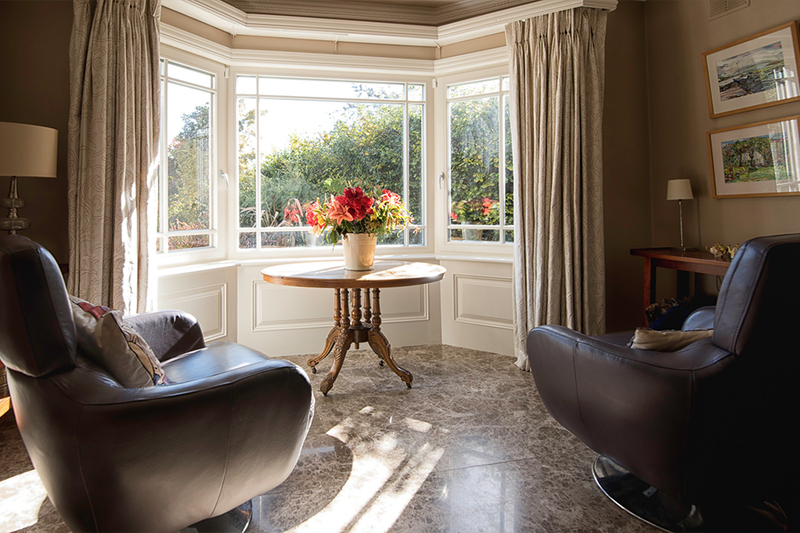 The new windows with slim Prairie design glazing bars made all the difference opening the entire view, thus the homeowners positioned two swivel armchairs to contemplate the new bay window and the front garden. 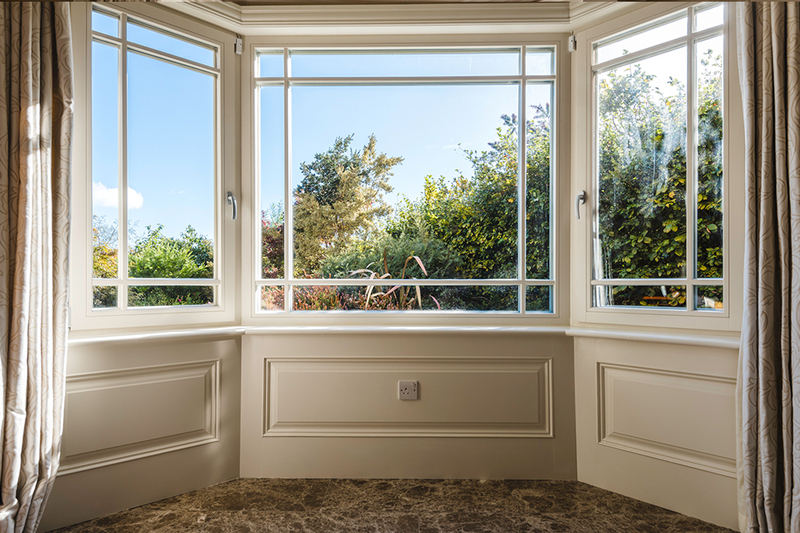 Even though the bay windows amplify the view, they still provide the necessary privacy, since the depth of the windows does not allow to look directly to the interior. 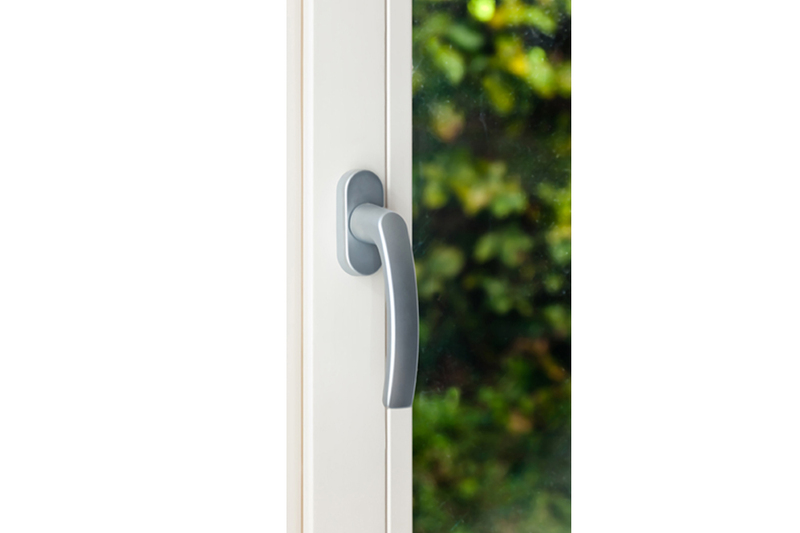 The aluminium clad exterior colour of the front windows matches the other properties’ units in the development, whilst the colour on the back of the house integrates with the sunroom windows. 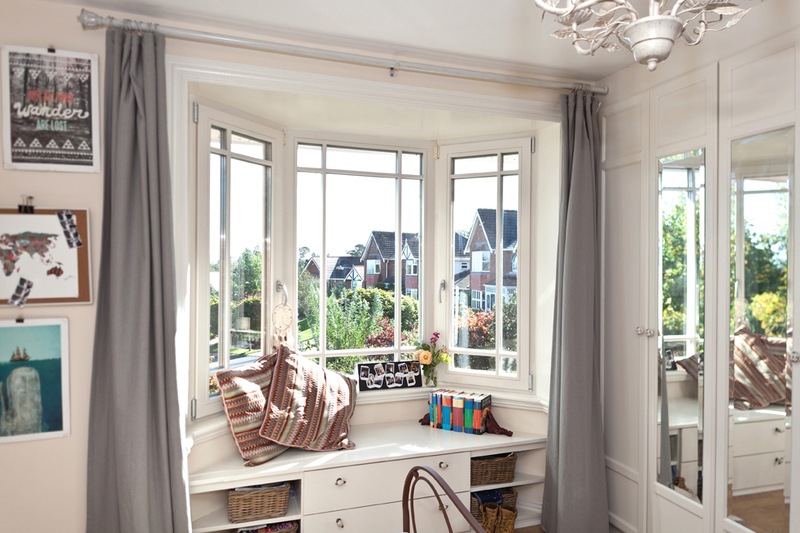 The tilt & turn windows installed in the rooms flooded the spaces with natural light in addition to its versatility, allowing different openings and creating a mix of styles. The units in the toilets were supplied with sandblast glass. 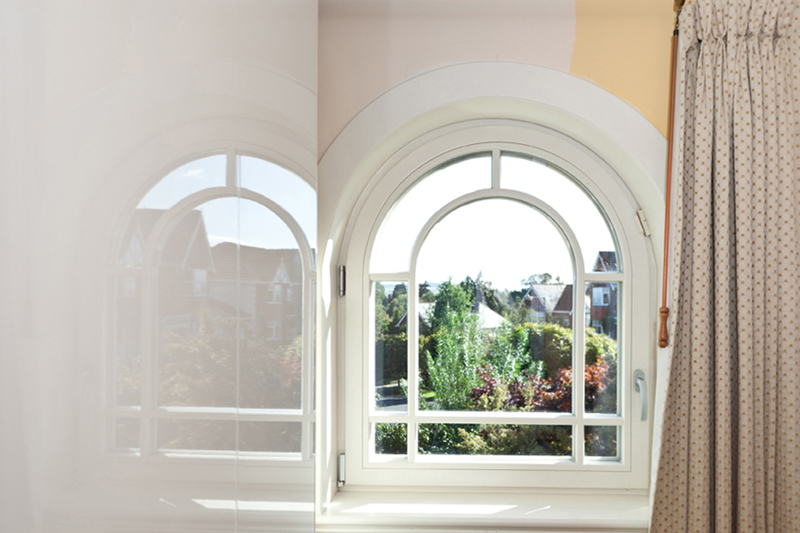 The rounded-top window in the dressing room was replaced with a refined profile unit, which allowed plenty of light to enter the room and enhanced the appearance of the front of the house as a whole. 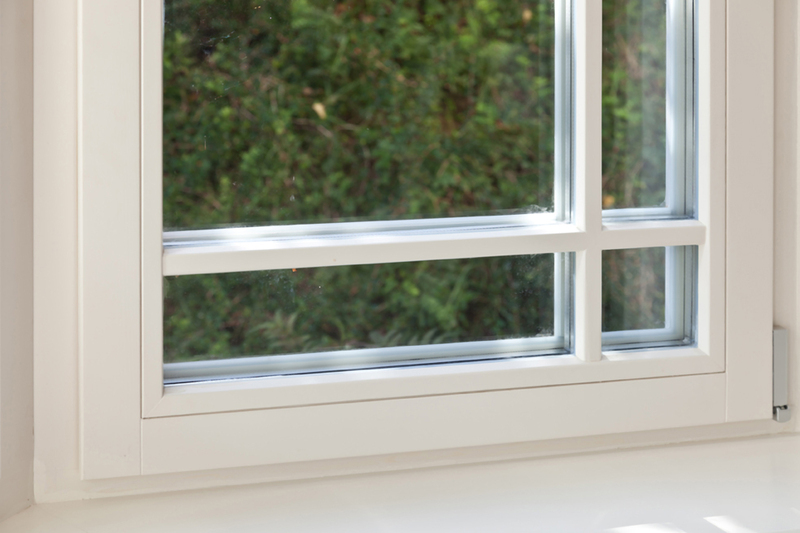 Therefore, the finish of the windows was a deciding point in choosing the Signature company as it completely changed everything in comparison to the old PVC windows.